We package, provision, and support our 40+ stacks in over 40+ countries. Founded with the goals of providing premium scalable solutions that are simple to use, reliable, high-performance, and all within affordability. Our Engineers and support staff are ALL USA based, and we are also AWS GovCloud approved. Ask yourself, who do you want to be handling your confidential data? 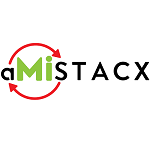 aMiSTACX is lead by a founder with over 20 years IT experience that has worked for the top financial institutions in the world. We expect and deliver a 5-star service with our mantra - Better - Stronger - Faster!